Last month in Fun With Maps we presented the following picture asking the question “what’s missing”? 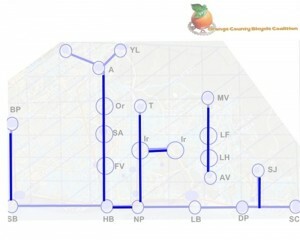 The dark blue lines indicate class1 bike paths, while the lighter blue lines indicate class2 bike lanes on surface streets. The circles indicate towns along the way or at terminating points of the class1 trails. 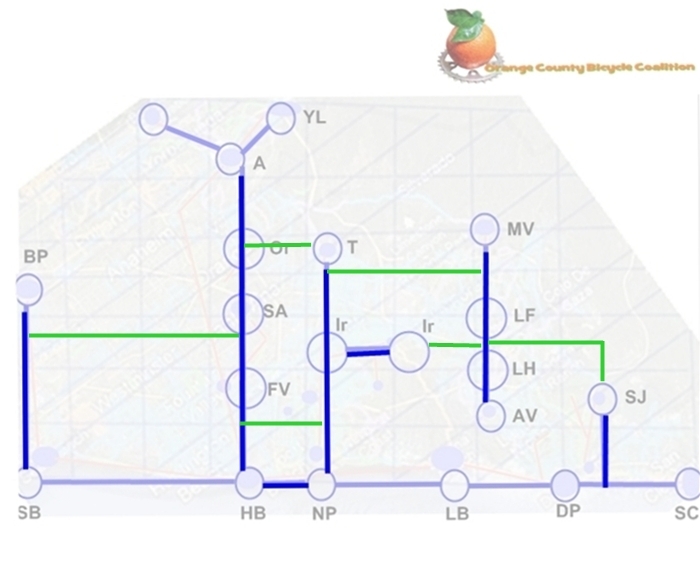 The answer to the question is a safe route suitable for commuters to travel about the county utilizing as many class1 trails and connecting them with employment and transportation centers. 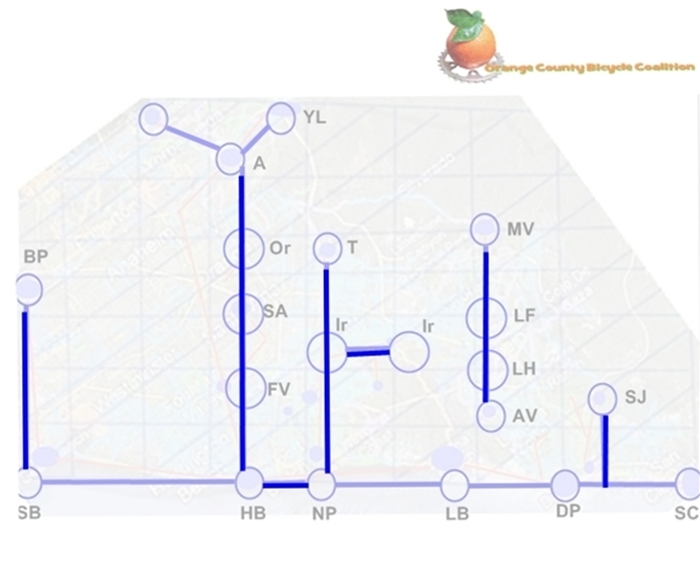 Since there weren’t many horizontal lines connecting the current class1 trails, without further ado, here is the latest addition to the BikeBone framework. 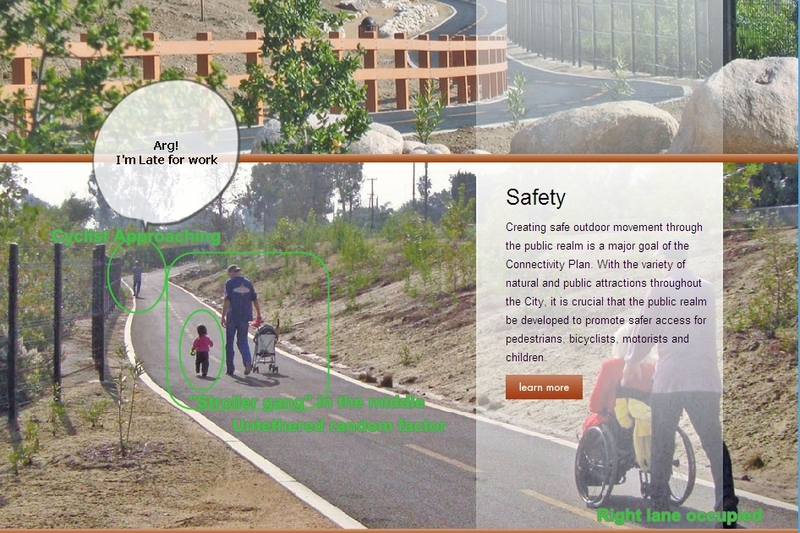 Taken from Anaheim Outdoors, the picture above describes safety as being a major goal of the Connectivity Plan, while depicting trail hazards cycling commuters face every day. 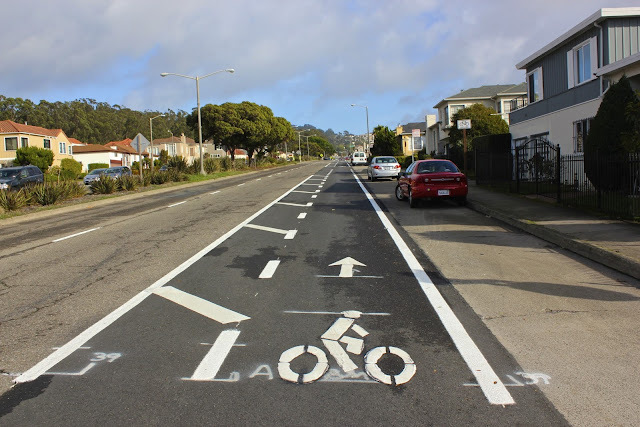 If you are the cyclist passing the wheel chair, what are your options? 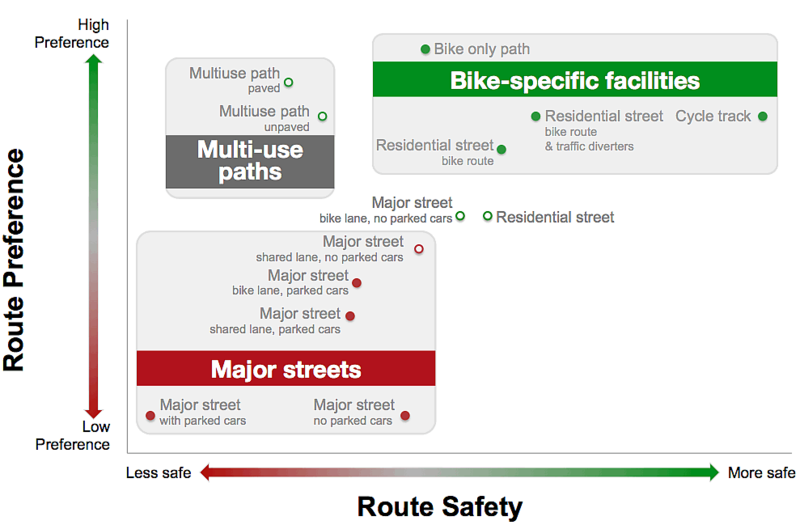 Sometimes it’s just faster and safer to take the street, and with your help and our analysis of traffic data, we can identify the most desired and safest streets, identifying and remedying any roadway deficiencies to build a real commuter network. 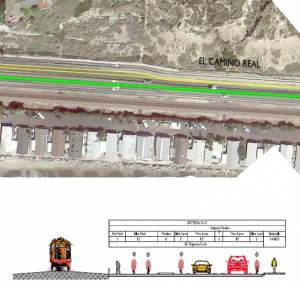 For example given the above picture, what if the trail was clear for the next 4 miles and by entering a block or two later you could bypass the most populated part of the trail, and make your train on time? Let’s get the discussion started, because trains don’t wait for strollers!